The Chinese Dark State is so secret, so devious, so profound, and so abstruse to Western minds that the bureaucratic mindset of the our American “Deep State” and their Mockingbird news media that they cannot fathom the depths to which this diabolical military-industrial menace will sink, and has already sunk to destroy the United States' by steadily undermining US influence and positions around the world. Geopolitically, Communist China seeks in short order to dominate and exploit the South China Sea to control South Asia while bullying and antagonizing all countries who may lay rightful claims to the South China Sea in accordance with international maritime law, also known as "The Law of the Sea." Since the early 1990s, China has been conducting a clandestine science and technology war against the U.S. by engaging in a broad sprectrum of activities from industrial spying to patent theft, and software piracy. Through these tactics, China has sought and continues to seek to sabotage our economy, all the while misleading the West as to their true intentions and hiding ulterior motives. China has been conducting covert war on us for 20 years or more. China is the greatest and most oppressive terrorist state that the world has ever seen. Even as I write these words, Google engineers in San franciso and around the globe are aiding China in the development, installation, and integration (through Artificial Intelligence) of the worst, most intrusive, and pervasive police surveillance state the world has ever seen. American corporations like Google, Twitter,Youtube and others are complicit with China in their collective drive to construct the infrastructure and architecture of a global police state, but that Google -China surveillance system would be "global" only when, if, and AFTER China destroys the United States. An inception of the process of denuclearization has begun, political prisoners were released, dead servicemen's remains returned home for burial. All clear signs of hope for a "Trust but Verify" stabilization of relations with North Korea. However, that minor shift in thawing of US-DPK relations has proven quite unsettling to the Chinese leadership. Kim Jung Un's North Korea is no longer behaving like the rabid pitbull that has always been on the end of a long Chinese leash since his grandfather's time, and always "pulled from Peking." Communist China has been conducting a long, secret and transparent “Slow Motion War” against the United States actively since 1999. In the mid 1990s, China began a mad dash to advance in 10 years what would sshould hve taken 20 to catch up with the US. That rush to catch up was infused in the Chinese leadership by the Chinese military-industrial complex. A deicision wasmade to mobilize their society to strive to catch pup with America in every field by hook and by crook. Encouraged by the Clitntpon, the Chinese plans advanced from planning stages to inception. Clinton allowed China to that was first facilitated and then spurred by the Clinton-Gore Administration between 1993 and the Year 2000. One could quite rightly call it "Tai Chi War," named after the ancient form of Chinese martial arts. There can be no argument: Communist China rules its people by terror. And how China rules its own people is how China plans to rule the world. After the slaughter witnessed by the entire world during the Tian An Men Massacre, of that there can be No doubt. The Communist Gangster regime always has, and it always will rule by terror, coercion and extortion, so long as China remains Communist The Communist ideology knows no other way ad allows no other way to rule than to govern its mass of Socialist slaves with a Communist claw and an Iron Fist. Today, China stands strongly, even straddling fake islands that it has built “starting from scratch” in the South China sea. The time has come for an American awakening. The time has come for a geopolitical "reality check," American RealPolitik, as in recognizing that Communist China is now the premiere military-industrial menace to the entire world. Do you doubt this? In the late 1990s, it was learned by American intelligence sources that on official Chinese military government maps, Australia was already labelled as “New China,” yet veiled from scrutiny by foreign eyes, obfuscated from the West, written in Chinese characters that no Westerner, Yang Gwei Dz, or "foreign devil") was ever permitted to see. Chinese Military “Likely Training’ for Strikes on U.S.
Japan’s defence chief on Monday warned the country faces a tough security environment, with China and Russia stepping up military activity and North Korea posing “imminent threats”. The rise of China and its transmogrification into another historic “Red Menace” for the 21st Century, which it has become today could not have happened with out help from “foreign investors,” paramount among them were Bill and Hillary Clinton, Al Gore and their economic cabal and entourage of banking and industry scalliwags , which lavished riches in resources, in vast sums of money, and heaped advanced technology on Chinese government in order to get lucrative deals for their cronies and “a piece of the action” for themselves. In this still young 21st Century, the newly-minted Red China military-industrial giant is emerging globally as the real economic bully of the world. This fact becomes especially evident when we study the mass migrations out of Africa and Central America after China has done its dirty economic deeds, such as seeding and fund and arming tribes in Africa to inflame civil wars like we saw in Rwanda, across Sub-Saharan and South Africa and the Middle East. The purpose the Chinese in their rapid investment, expansion across Africa, Central America and South America is to project a global presence and setting up future bases of operations disguised as engineering project such as he Chinese “Big Dig” to build anew seal level canal across NIciaragua. The purpose of these ploys is to establish a worldwide series of “Monkey Joints” (a term used tin the oriental game of “GO”) which signifies a hidden fortress constructed not for present phase of the game, but in anticipation, for future use. Chinas is investing and engaged in these international mass building projects for national infrastructures and regional road building so that they will be ready for their real use when the Overt War against the United States and the West begins in earnest, which may come sooner than our “Deep State thinkers” could conceive. In their haste to expedite the building of the new sea level Chinese canal across Nicaragua that is intended to replace the Panama Canal when finished, the Communist engineers have devastated nature in Nicaragua. In their forlorn attempts to appease China for investments that Nicaragua can never pay back, the Sandinista Communist regime of dictator-for-life, Daniel Ortega, has become a slave and Nicaragua is now a puppet state of “Red China” right in the heart of The Americas. Hundreds (at last count over 500) people have been killed in mass protests that have swept that small Latin American country, which is forcing thousands to flee north to the US Border as refugees. The rampaging economic monster that China has become today was created by the Clinton-Gore Administration with tons of “foreign aid” from Wall Street. One can state plainly that China is an economic behemoth, a man-made monster, and that the Clintons are the real “Frankensteins” behind this monstrous, anti-human creation. Battling even in the Oceans of Space. How Did All That Happen In Just 20 Years? Waking the Sleeping Dragon: Why does Donald Trump hammer Hillary Clinton on trade? "On May 24, 2000, Bill Clinton clinched what many believed would be the last great legislative victory of his presidency. That afternoon, the House of Representatives voted to award China permanent normal trade relations, effectively backing Beijing’s long-in-the-making bid to join the World Trade Organization. The historic deal had been Clinton’s top priority in the waning days of his last term—a move he hoped would improve relations with the world’s most populous nation, while cementing his own legacy of using free trade to advance America’s foreign policy interests. Waking the Sleeping Dragon Why does Donald Trump hammer Hillary Clinton on trade? With the complete acquiescnce of the Clinton Administration, China entered the WTO and immediately began to build up not only it's industry, but its military-industrial might to serve the Chinese war machine that China began to build right away. In other cases, China bought ships from the Soviet Union and Ukrainean Navy while it layed the foundations of a vast military ship buildiing industry using American technology to do so. Some was bought, some ws borrowed, and much was stolen. 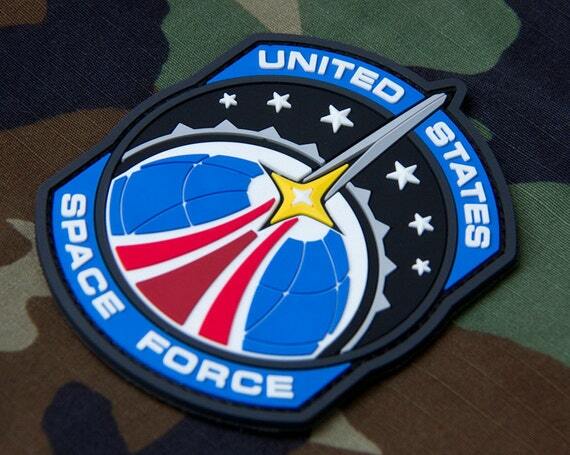 This concept was first espoused during the late 1990s in a military warfare thesis written by 2 Chinese Air Force colonels and so, “Unrestricted Warfare” and its core tactic known as Broadband Warfare” have become 2 cornerstones of Chinese military and foreign policy. Being an avid reader of Chinese, and a long time “China Watcher,” one might say, I was “in the loop,” and so through my colleague, Brian McAdam, a former diplomat, Canadian Foreign Service officer, and noted journalist, Gordon Thomas (author of “Seeds of Fire”), I learned early on of the new Chinese war plan soon after it was published in mainland China. Working together with Gordon Thomas and Brian McAdam, “we three” cooperated for many years more to bring a stern warning to people both inside and outside the US, British and Canadian governments, intelligence services, including the FBI, as well as the national press and TV news media. This effort to alert the public became even more important after the September 11th Attacks in 2001 when “we three” realized that we had been reading the same exact 9-11 plan of attack to destroy and to demolish the Twin Towers and the World Trade Center, and specifically naming the Osama Ben Laden and Al-Queda as the most likely prospects conduct the 9-11 demolition and destruction of the World Trade Center. The international mass media, o;livious to China's rise, rapt in silent collusion with the “China Crowd,” covered up the Chinese scandals of the Clintons and Al Gore, and CNN reported very little real news regarding the growing Chinese threat regionally, and ignored the danger that China would pose to America in the very near future. Fake News CNN did not “peep a word” about the the Clinton's intimate relations with Red Chinese government officials and their business agents, like Johnny Huang and othjer Chinese nationals for whom the clinton sought favored status as Chinese business agents before Immigration adnd Naturalization Service (INS) courts, a practice, which continued for a time after the Clinton Presidency had subsided, and which was renewed practice during the Obam Administration, fmost notably, when now Governor Terry MacAullife ws exposed in the press after attempting to pressure INS agents to approve a visa for a Chinese business crony of the Clintons. thee was also a large exchange of money involved between the Chinese and MacAulliffe to plead his cause before the INS. "Coming evvents cast their shadows before them." In bringing our warnings to public attention between 1999 and 2003, I had to coin a new word, .i.e, “CommunIslam,” to convey to the world a hint of that Dark State of terror and menace that would soon be overshadowing the entire world with dire effects on our logerm futures. The explicit and overt mention of Osama Ben Laden and al-Queda in the thesis was startling and betrayed the role that Ben Laden would play in the future expansion of Chinese economic and military influence and interests across the globe from Asia to Africa to North and South America. The co-authors of “Unrestricted Warfare,” Qiao Liang & Wang Xsiaosue, specifically cited and called for the destruction of the World Trade Center Towers as one of the most desirable targets of opportunity, and avenues of covert action to bring down and collapse the US Economy and, more importantly, to demoralize the people of the United States. The 2 Chinese colonels, Qiao and Wang, specifically named Osama Ben Laden as a desirable, prospective candidate and partner for the job. The fall of the Twin Towers was conducted, strategically and symbolically, as a form of geopolitical “shock treatment” intended specifically to destabilize America as a whole, militarily, economically and psychologically so as to prepare the world for a Chinese take-over of the Global Economy. Actions, far more than documents, prove collusion across the board between the Clinton-Gore Administration and the Chinese Communist Government. 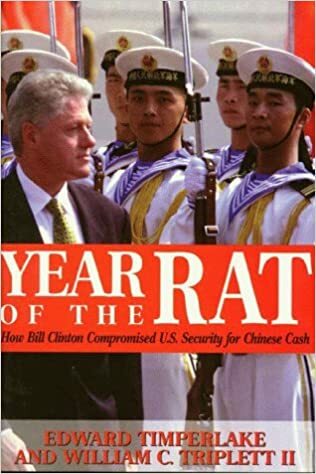 The year of Bill Clinton’s reelection, 1996, and the Chinese Year of the Rat coincided that year. In this explosive book, Timperlake and Triplett deliver the detailed evidence that could’ve brought down the Clinton presidency. We have Clinton, Bush, Obama on the same page. Bill Clinton through Loral and Hughes (Schwartz/Armstrong) for the missile thing, Wen Ho Lee for warhead designs–with Bill Richardson blocking Notra Trulock. John Huang at Commerce getting CIA briefings, crossing street to Stephens to fax to Lippo partner of China Resources (Chicom Intel). Now Hillary gives China years of classified intel–and who knows what Obama gave them via the same server. Feinstein’s driver (a Chinese spy). Brennan the mole. Need an intervention to kill all the heartworms."